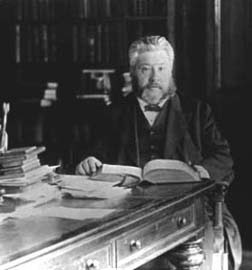 Charles Haddon Spurgeon is commonly heralded as the greatest preacher to grace the Christian pulpit since the Apostle Paul. His metropolitan Tabernacle was undoubtedly a dynamic force for righteousness in Victorian England. But his many years of ministry were marked not only by his masterful pulpiteering, but by his many labors on behalf of the poor and needy as well. On this day in 1861, he erected an almshouse for the elderly. In 1864, he established a school for the needy children of London. In 1866, he founded the Stockwell Orphanages. And, in 1867, to these many enterprises was added still another, a private hospital.